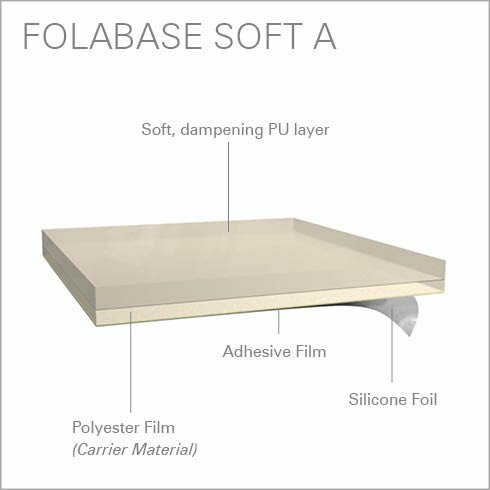 The Folabase Soft A is the self-adhesive modulation of our modern and flexible Folabase Soft u. The two-layer compound made of dimensionally stable polyester and extremly ductile polyurethane ensures an extremely high dimensional stability and thus, stable thickness. The soft polyrethane layer absorbs mechanical forces and ensures a good resistance against paper jam.